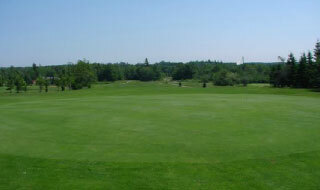 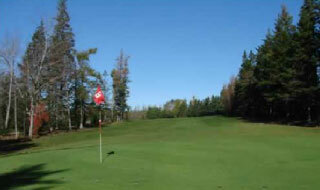 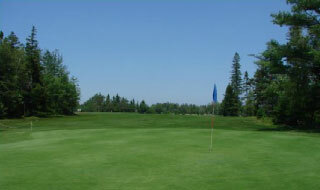 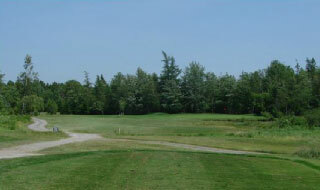 Built primarily on former farm and forest lands, the Airlane Golf Club offers a variety of settings as you walk this relatively flat 9-hole layout. 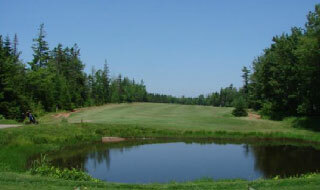 Each hole has its own distinct character and will challenge golfers of all skill levels. 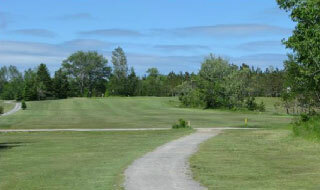 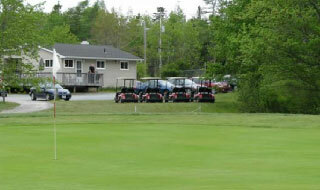 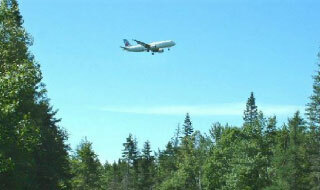 Enjoy your round as you observe the local wildlife in contrast to the large aircraft landing at the nearby Halifax International Airport. 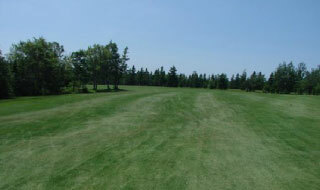 This 320 yd. 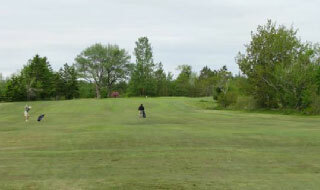 par 4 is one of the more forgiving holes on the course. 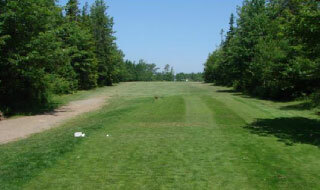 A large landing area gives the player a little room for error off the 1st tee. 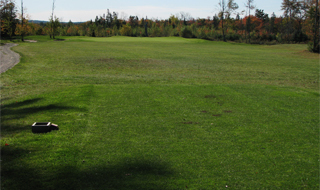 Take an extra club on your second shot as the green is slightly elevated. 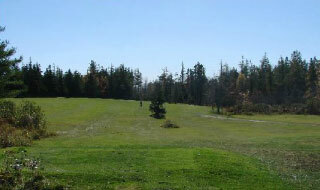 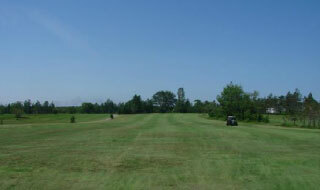 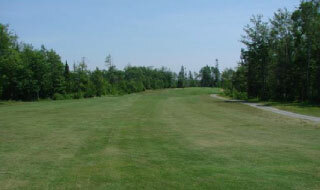 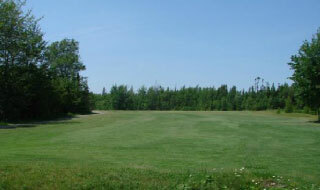 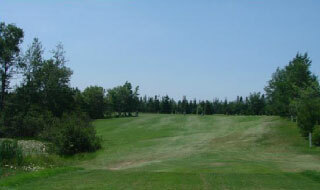 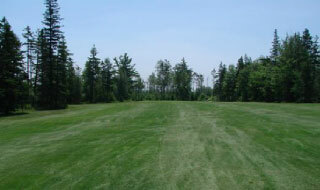 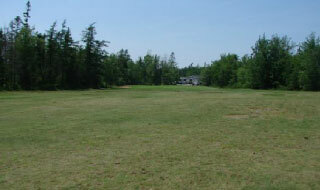 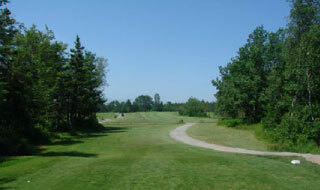 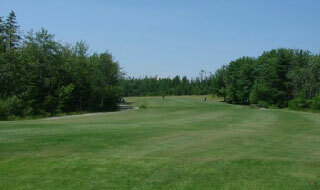 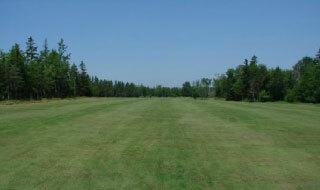 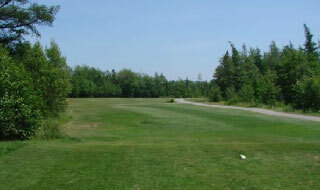 This long par 5 can be shortened by cutting across the dogleg to the right. 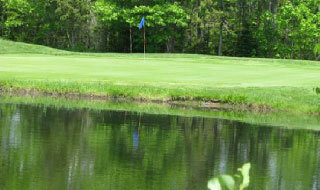 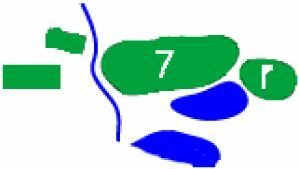 However, a poorly hit second shot can find you in a pond at the corner of the dogleg or out of bounds. 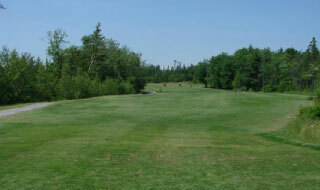 Easily the most difficult par 4 on the course, this long hole doglegs to the left. 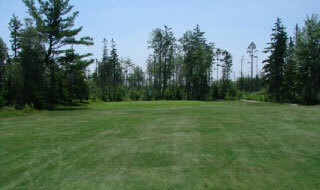 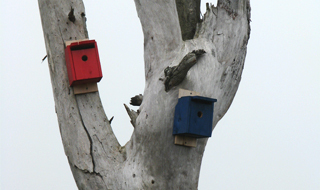 Although the hole can be shortened by cutting the corner, it requires an excellent drive over tall trees. 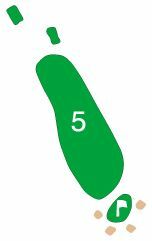 You have now reached our Signature hole. 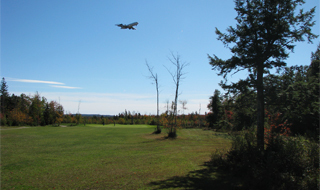 If you are fortunate enough to play the hole when large planes are making their approach to the nearby airport, you will understand where our course got the name “Airlane”. 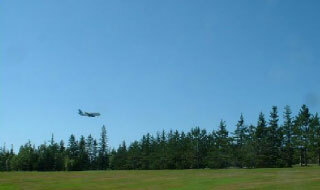 If you listen carefully, you may also hear a whistling through the trees caused by the downdraft created by these aircrafts! 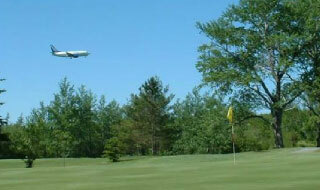 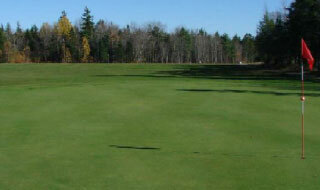 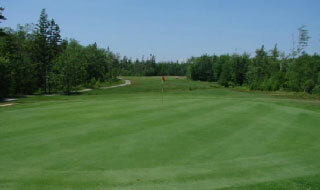 Don’t let the planes distract you as you attempt to make par on this large undulating green. 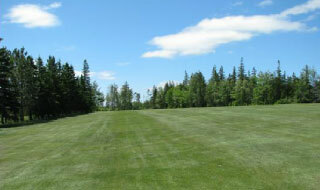 This par 5 offers some relief to the short ball hitters. 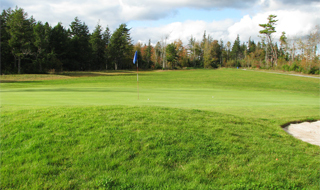 However, don't be fooled as a sloping fairway often results in a side hill lie or a trip into the woods looking for your ball. 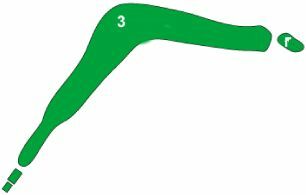 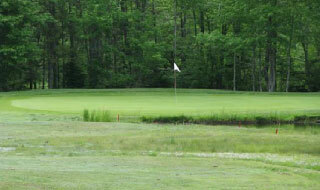 A large, difficult to read green is protected by a water hazard out in front. 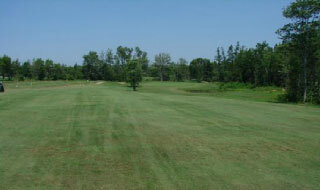 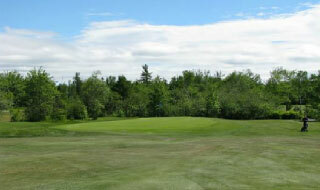 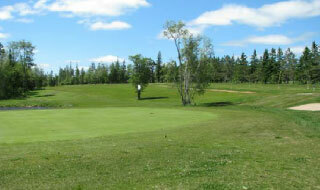 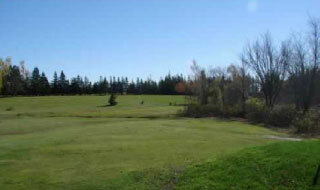 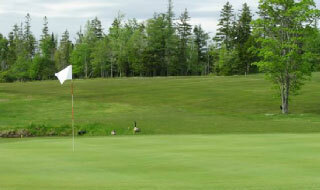 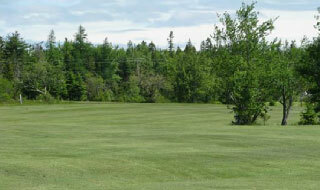 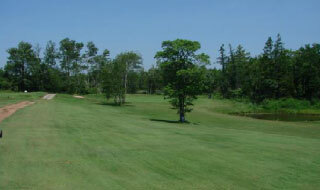 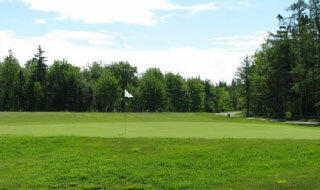 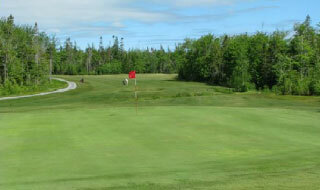 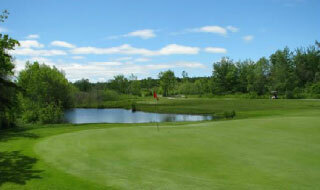 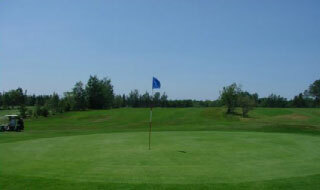 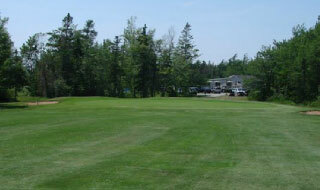 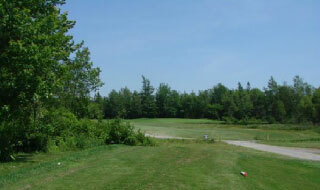 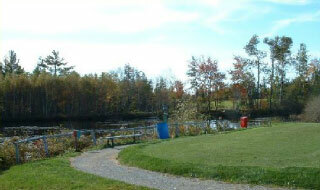 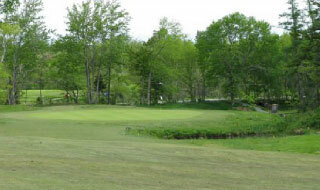 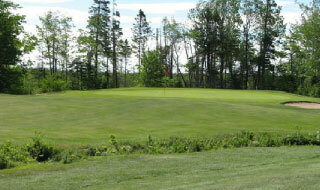 A medium-length par 3 over water to a large receptive green has a bailout area to the left for the less adventurous. 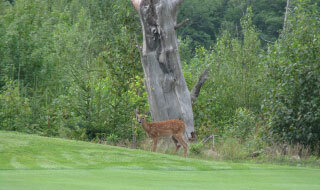 Make sure you use plenty of club and bring your ball retriever with you. 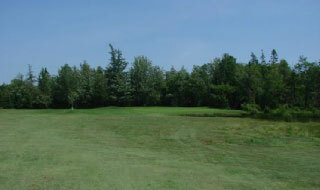 This relatively short par 4 plays much longer due to a forced layup to avoid going into the creek that crosses the fairway. 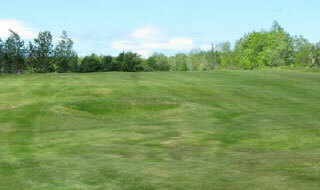 Your second shot must be precise in order to avoid the bunkers on either side of the green. 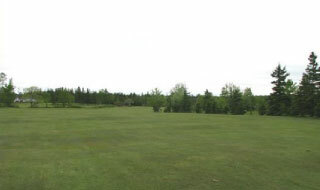 This hole gradually opens to a wide fairway rewarding a good drive. 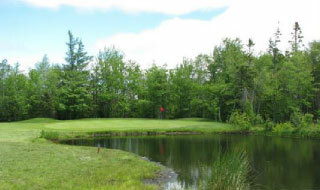 However a poorly hit tee shot could find you in the not-so-friendly brook that crosses the fairway or in heavily wooded areas to the left and right on this hole. 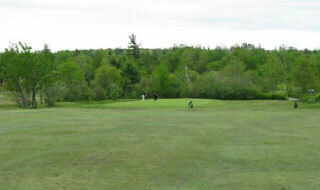 The large green makes for an easy par if you have a good drive.